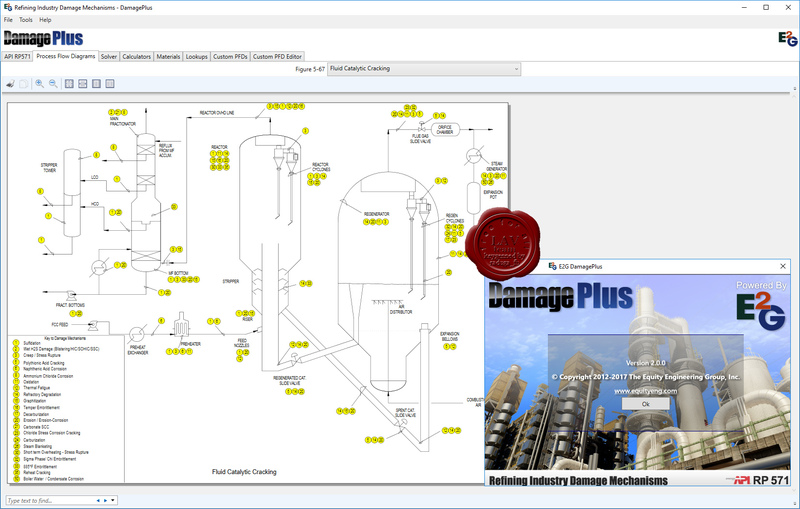 DamagePlus software, from Equity Engineering Group has been updated to the newest edition of API RP 571, Damage Mechanisms Affecting Fixed Equipment in the Refining Industry, 2nd Edition, April 2011. Guidance through the damage mechanism selection process. Help in selecting the best inspection method for each type of damage. Simplified Process Flow Diagrams (PFDs) that show where damage is likely to occur in a process unit. The complete API RP 571 document and all the tools you need for compliance – new information, updates, and corrections that are essential to helping you identify, understand, and analyze the potential damage mechanisms that can cause costly fixed equipment failure.